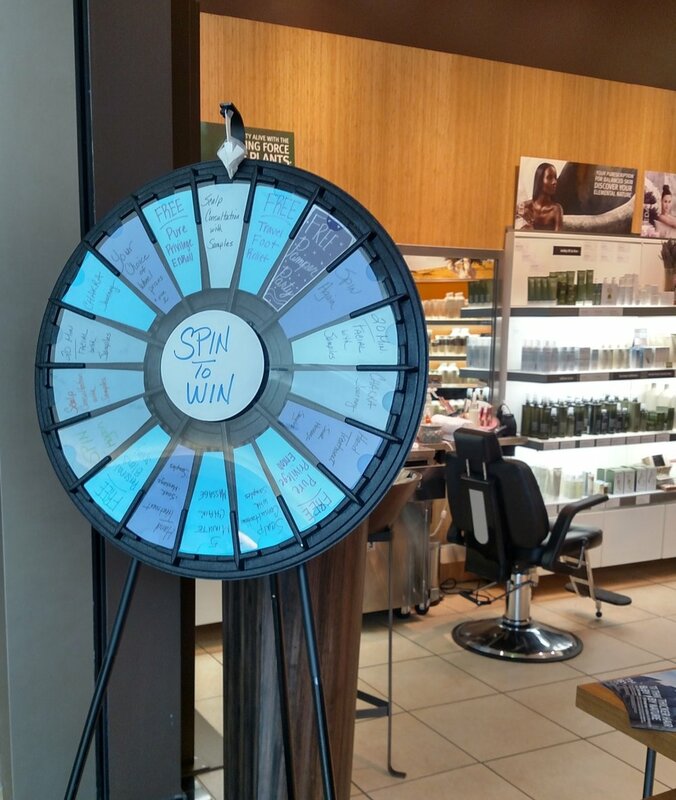 Each guest at Aveda Experience Center can spin the wheel for prizes! No purchase necessary. GUESTS WILL BE ELIGIBLE TO RECEIVE AVEDA FREE GIFTS WITH PURCHASE OF $50 OR MORE! Sign up for Aveda's Pure Privilege rewards program and as a new member you will receive triple points as well as a travel-sized Aveda Daily Hair Repair.